What will Brexit mean for travel insurance? HomeWhat will Brexit mean for travel insurance? With Brexit only a few months away, adventure travellers are starting to ask what impact the UK leaving the EU will have as they start to plan their summer 2019 activities. Winter sports tour operators have already commented on the immediate impact that the weakened pound (GBP) has had on their businesses but the 2018/9 winter season has not been affected in any major sense other than some modest increases in costs estimated at less than 10% based on currency fluctuations and of course the immediate reduction in purchase power of the GDP against the Euro for travellers buying services in resort. However, the picture is less clear for travel into Europe for the summer of 2019 and at the time of writing, there is still no clear guidance being given by the government on the implications of Brexit for UK holidaymakers from the end March 2019 when the UK gives up its EU membership. We do know that any insurance purchased for travel next year will not be affected by the UK leaving the EU. Insurance contracts made between UK residents and their UK insurers will not be affected by Brexit and will still be valid for travel within Europe as well as the rest of the world. However, it is important to understand what might change and how this will impact travel insurance. Much of the disruption that Brexit will cause within the travel industry will affect tour operators more than airlines and other services providers. The EU has as much at stake as the UK in terms of keeping travel routes open, particularly as the EU needs access to UK airspace to keep its routes to the US flying so it is likely that agreement will be reached on keeping travel routes flowing freely post Brexit. However, specialist tour operators organising winter sports holidays, cycling holidays, water sports holidays, trekking holidays and so on are having to prepare to re-align their businesses if they are no longer able to use UK staff in European resorts. It is estimated that some 25,000 jobs are at risk and that employing European staff in place of UK staff will increase holiday costs by as much as a third. Whilst this may well impact on the enjoyment UK holiday makers have as they struggle to communicate with European staff, the British are resilient travellers and will adapt to perhaps a different flavour of European resort experience. There is a very real possibility that Brexit will provide new opportunities for UK tour operators and that the UK’s proven skills in being innovative in developing travel trade will result in a refreshed offering to adventure travellers. Whilst predictions of company failures in the travel industry are being made by the pro-remain camp, there is little evidence either way that much will change. Certainly large tour operators are still taking bookings and although nervous about the future, have been planning for Brexit and will no doubt have contingency plans in place, there is simply too much at stake for our European neighbours who rely on the UK for a significant percentage of their tourism income. Hotels and accommodation providers in Europe won’t want to see a fall off in the UK customers they have come to rely on. So what does this mean for travel insurance and what might change? 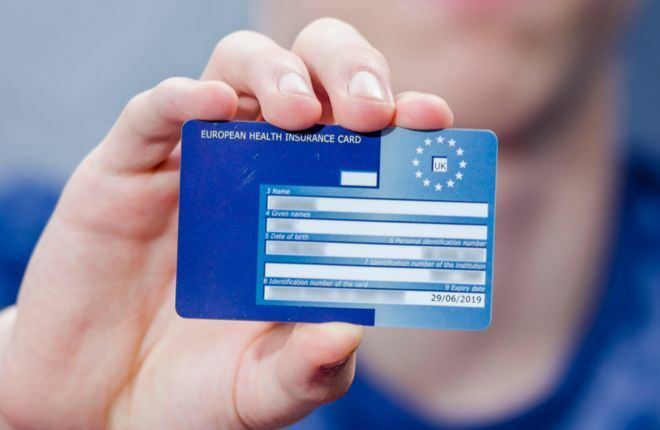 Currently, UK travellers with a European Health Insurance Card (EHIC) enjoy reciprocal health care in all EU member states as well as in Norway, Iceland and Switzerland who are not EU members. In fact, the EHIC is not a benefit of EU membership but rather being within the EEA so post Brexit there is no reason why the EHIC benefit should be lost. The UK would probably be able to continue as Norway, Iceland and Switzerland do, particularly as EU member citizens travelling to the UK will also want to enjoy the same reciprocal healthcare benefits. However, should the EHIC benefit be forfeited, travel insurance costs are likely to rise as insurer claims costs will spiral. In short, the cost of being ill or injured in Europe will become more costly and so premiums will probably rise to similar levels as those charged for worldwide travel. Travel insurance purchased before Brexit will not become invalid and premiums will not change immediately. It is likely that costs will rise gradually over the next few years as insurers adapt to new post Brexit medical expenses. At the moment, UK travellers enjoy significant benefits from legislation in place that controls compensation for flight delays, tour operator failures and the way holiday packages are sold. This consumer protection will not disappear overnight as there will be a transition period until 31 December 2020 during which time existing legislation will remain in force. It is likely that the UK government will simply adopt existing EU regulations although it is possible some will be dropped or watered down. Obtaining compensation from European travel service providers may be less than straight forward. Travel insurance provides compensation for certain travel delay or missed departure situations but does not currently provide protection that is as comprehensive as that given by the EU’s regulations and will certainly not cover additional costs incurred because of changes in government regulations or the unknown impact of Brexit. Also, travel insurance will not cover cancelling holidays because of uncertainty around Brexit or additional charges made by tour operators who issue surcharge invoices to cover currency fluctuations. In short, the content of travel insurance policy wordings is unlikely to change pre-Brexit and travellers will not be able to claim for unexpected costs that they incur as a result of changes to their travel plans because of Brexit. It is therefore important to check with tour operators and service providers on the extent of support they will give in the event Brexit creates disruption to holidays booked in advance of Brexit should the so called ‘hard-Brexit’ materialise. So what happens next? 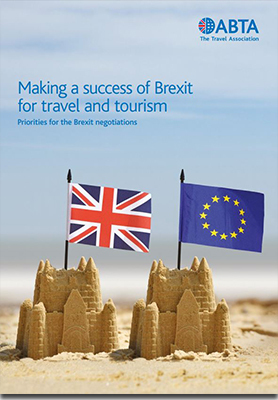 ABTA has stated that they are working hard to ensure travel routes and travellers rights are maintained post Brexit. Key issues around medical costs, roaming fees and visa costs have yet to be finalised and we wait with baited breath for clarity and certainty, something that the whole Brexit process has been notably lacking in. The Tourism Alliance (TA) has been perhaps more upbeat, emphasising the strengths and successes of the UK tourism industry in being a world leader in terms of growth and innovation. The TA maintain that either being in Europe or not will not affect our desire to travel and that both inbound and outbound tourism are still likely to see growth post Brexit. It is predicted that the number of winter sports holidays sold to UK travellers will not fall but that up to a quarter of current winter sports enthusiasts who ski or board in Europe will try other worldwide destinations. It is therefore likely that the losers could well be our European counterparts as, as noted above, the British adapt, holidays won’t disappear, they will just move to other regions. Whatever the outcome of the coming months of tedious and frustrating negotiation, one thing remains certain, to beat Brexit depression we all need a holiday!